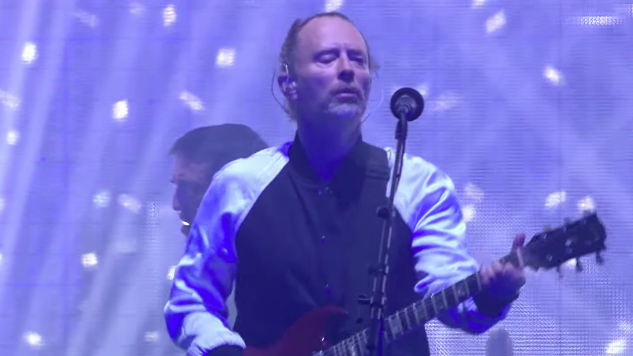 Following Lana Del Rey’s Twitter announcement claiming that Radiohead was suing her for copyright infringement over the similarities between her single “Get Free” and Radiohead’s own “Creep,” a spokesperson for Radiohead’s publisher (Warner/Chappell) has now refuted those claims, contending that no legal action has yet been taken by the band. Regardless of what happens in court, the sentiment that I wrote in that particular song, which was my statement song for the record, my personal manifesto … Regardless, if it gets taken down off of everything, that those sentiments that I wrote, I really am still going to strive for them, even if that song is not on the future physical releases of the record. The singer expressed this sentiment just before performing “Get Free” in a medley. Whether Del Rey jumped the gun in announcing the lawsuit, or whether she plans to initiate a lawsuit of her own against Radiohead is still unclear. As of now, no further statements have been made by either side in regards to the situation. Paste will continue to follow this ongoing story as it unfolds. In the meantime, listen to a 1995 Radiohead performance of the song at the heart of all this via the Paste Cloud player below.